Al Ghardaka' in Arabic was named after the cactus plant 'Al Ghardak', planted profusely in the region to serve as shelter from the baking sun. In the 19th century, fishing boats would sail between the two ends of the Red Sea basin on expeditions lasting several months, effectively offering free migration between Africa and Asia. Today the inhabitants of the land between Hurghada and the southern coast of Sudan have many characteristics in common with the coastal populations of Saudi Arabia and the Yemen. 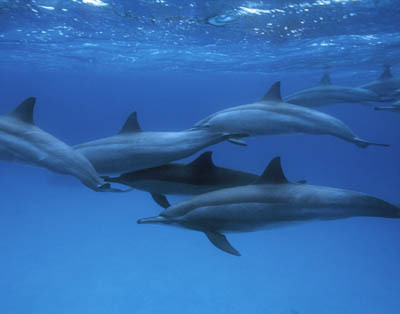 Their language and dialects are similar, and they give the same names to some endemic marine species. In recent years Hurghada has developed into a buzzing holiday resort, offering sunshine for most of the year and easy access from most European capitals. It is also the gateway to the remote reefs of the southern Red Sea and the historical town of Luxor - home to many of Egypt's antiquities. Located on the southern tip of the Sinai Peninsula, Sharm El Sheikh, today a busy resort, is the number one choice for divers wanting to explore the world famous dive sites around Ras Mohamed and the Straits of Tiran. Most of the resort's activity is concentrated around the sandy beach at Naama Bay - an area buzzing with hotels, restaurants and bars. Diving World is located close by in the old port of Sharm El Maya, where a few hotels nestle beneath the majestic Sinai mountains overlooking the sea. Here the atmosphere is somewhat quieter, the prices a little cheaper, and divers and snorkellers have easy access to one of the area's best site Ras Umm Sid. Located in the new harbour of Sharm El Mina Bay in front of the Travco marina, Diving World Sharm El Sheikh is run by multilingual PADI and SSI instructors and is one of the most respected dive operators in the area. The dive centre is only 15 to 20 minutes away by boat from the dive sites of Temple, Ras Umm Sid and Paradise, and 30 minutes from Ras Mohamed and Tiran. Our other diving partners are Diving World Aquarians based at the Sheraton Hotel. Around 50 km south of Hurghada lies a chain of isolated and breathtaking reefs with dramatic drop-offs and plateaux teeming with characteristic marine life. From Ras Abu Soma to Gamal El Kebir you can dive seven pristine sites rich in coral both on the shallow inside or the outer fringe exposed to the sea offering frequent sightings of big pelagic activity. Further out, Panorama to Abu Kefan offer even more excitement. Ras Abou Soma and Tobia Arbaa. A steep outer wall merges into a 25m plateau adorned with huge and majestic table coral, leading to a superb cave festooned with soft coral and teeming with glassfish. 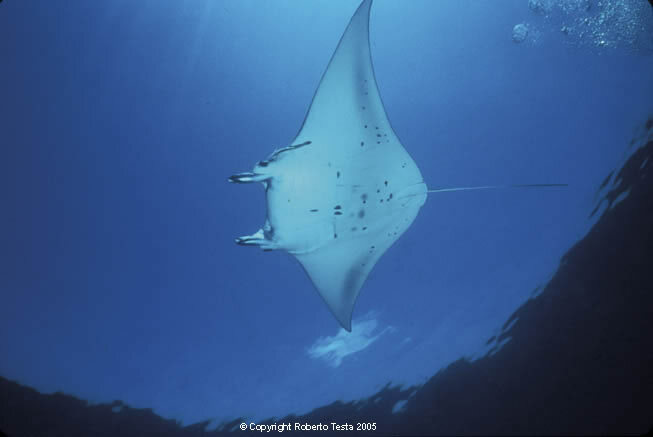 Ras Abu Soma offers common sightings of grey reef, whitetip, leopard and hammerhead sharks with mantas during March and April. Tobia Arbaa is protected in the lee of Ras Abou Soma, several tall and narrow ergs festooned with soft coral rise from a sandy bottom. Clouds of anthias, pufferfish, napoleons and barracuda swim around these beautiful pillars in a scene of underwater splendour. Tobia Arbaa is ideal for the unhurried underwater photographer. 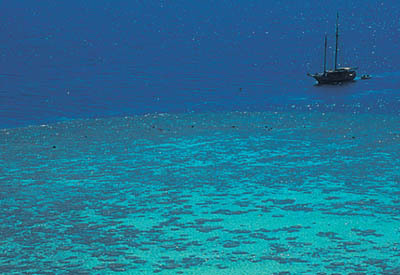 Panorama Reef is the highlight of the Safaga dive sites. Rising from the depths an hour from Safaga this oval shaped reef has a dramatic north plateau and drop-off. This is one of the best drift dives in the Red Sea, with sightings of schooling barracuda, giant trevallies, whitetip, grey reef & silvertip sharks, dolphins and rare encounters with oceanics (longimanus). Hal Hal can be best described as a dense aquarium. Nourished with almost constant and strong currents and only dived in exceptional weather, two ergs rise from a plateau 3m shy of the surface. The exposed outer ledge plummets to over 100m; this is probably one the most prolific reefs teeming with fish life, an explosion of soft corals and gorgornians. Almost every endemic marine specie in the Red Sea can be seen here and in large numbers, with groupers, snapper, tuna, glassfish, turtles, unicorn fish and pelagic sightings along the drop-off. Abu Kefan is rated by some as even better than Panorama with impressive schools of huge barracuda that glimmer against the pure blue of the deep. Both its northern plateau and colourful southern erg rise from deep water. 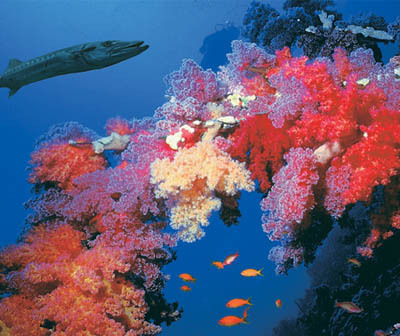 An abundance of vividly coloured soft corals and intricate gorgonians set the backdrop to a ballet of numerous and dense fish species. Mersa Alam mirrors the Red Sea region of old. Some 300km south of Hurghada the coast is suddenly as barren and dramatic as it has always been. Here the contrast portrayed by the rugged mountains bowing into the turquoise water is mesmerising. As striking as the awesome beauty of the coastline is the air purity thanks to the complete absence of humidity. Moreover the desert and mountains in the backdrop are vibrant with life, and thanks to the absence of development the starry skies at night are worthy of the best firework display. Because of the high presence of fresh water in the soil some of the coastline harbours rich mangroves born from the contact between fresh and saline water; this vegetation is rich with a myriad of both bird and marine life. Encouragingly the government has decreed these mangroves as protected nature reserves. Thankfully the handful of hotels now opened in the area are markedly aware about the responsibility of preserving this unique region and have built their projects in harmony with this delicate environment. Those not comfortable on week long trips at sea can now access some of the sites available on our southern Red Sea Liveaboards from the beautifully built Kahramana Resort. The Hotel's diving centre offers shore diving. The more adventurous can dive with Diving World's Dive Rangers, using 4 x 4's, ribs and day boats, accessing some of the best dive sites in the south, including Elphinstone. The Kahramana portrays an exemplary model of construction made to blend with the environment. Using local materials, this unique hotel was built to espouse the natural uneven landscape of the coastline resulting in a perfect harmony. The profuse and perfectly preserved reefs in Sudan bear witness to the Red Sea at its best. 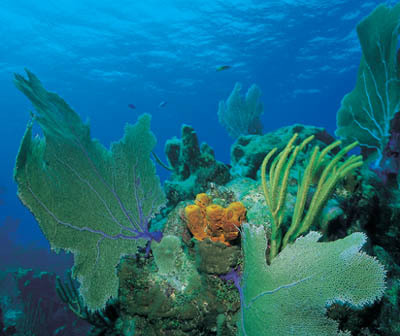 Almost every dive will offer a myriad of schooling fish and a dazzling display of coral gardens. Dense forests of soft corals and some of the world's best hard coral formations act as a Mecca to several species of sharks, barracuda, mantas and a huge variety of reef dwellers. Wrecks, drop-offs and spectacular caves are just some of the attractions for the serious diver and underwater photographer. Sharks and mantas in unbelievable numbers are encountered in a technicolour marine environment, made all the more dazzling thanks to unsurpassed visibility. Experienced divers with a keen sense of adventure can embark on our challenging Sudan expeditions. Diving World operates out of Port Sudan on board the classical schooner M.S.Y. Ishtar, the MSY Elegante and the brand new MY Sherazade. For years cloaked in secrecy, the Kingdom of Saudi Arabia has exploded on to the tourist track. International Cultural Tourism has been evident for many years with groups coming from Japan, America and Europe. Saudi Arabia is now announcing Year of the Diver. Diving the Jeddah offshore reefs which, for so many years has been dived by the small number of local and guest workers, is now open to all Divers.The Red Sea is rated as one of the top ten diving destinations in the world. 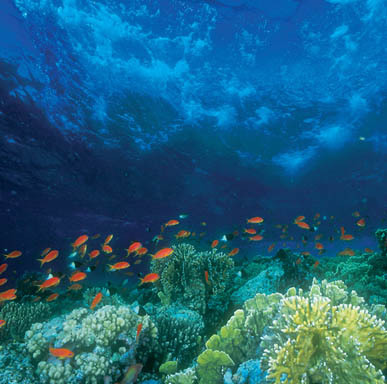 Egypt, Sudan and Jordan offer fantastic diving, but how many of you have dived the Saudi Arabian Red Sea? How many of you know anyone who has? Without question, many if not most of the outer reefs in that region have never been dived. The diversity of marine life and fauna along the reefs really are quite exquisite and offer the diver a high quality and extremely memorable diving experience. The excursion is currently only available by liveaboard. The MY Dream Voyager was built specifically for diving in one of Dubai ’s renowned shipyards (April 2003). Dream Voyager is fully designed and equipped for Diving and covers all the dive sites in the Saudi Arabian waters of the Red Sea. LIVEABOARDS: We offer a range of liveaboards in the Red Sea off Egypt, Sudan and Saudi Arabia.